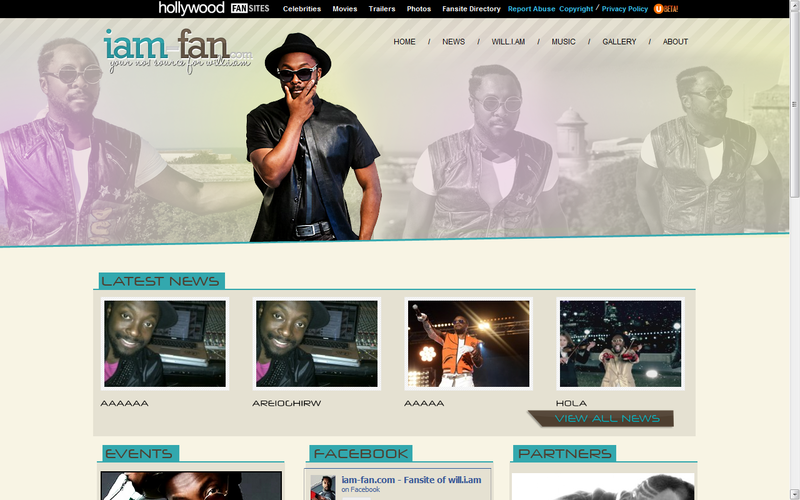 http://iamfansite.com is first and biggest fan website dedicated to amazing musician will.i.am. 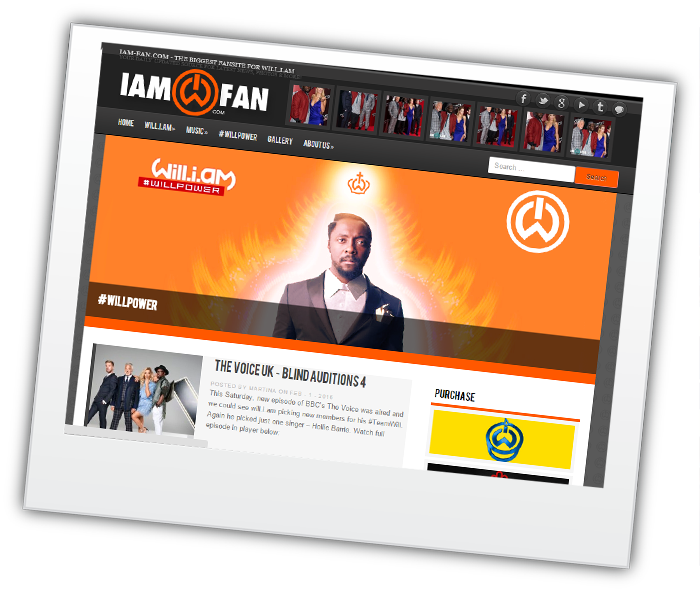 We were running under the name iam-fan.com for over four years, but in September 2015 we have to move to our current address. It was opened on March 15, 2011 as a gift for Will’s 36th birthday. The goal was support him and get all of his fans upated about everything related to him by visiting only one website, which tourned out really well. 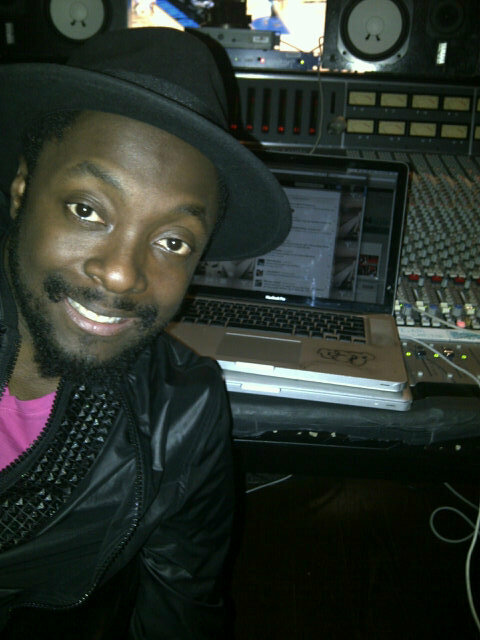 Since that day we keep daily updates for all his fans about the latest information, news, photos, videos and much more! We've gained over 150,000 visitos who I'm really thankful for supporing me and helping me achieve my dreams. 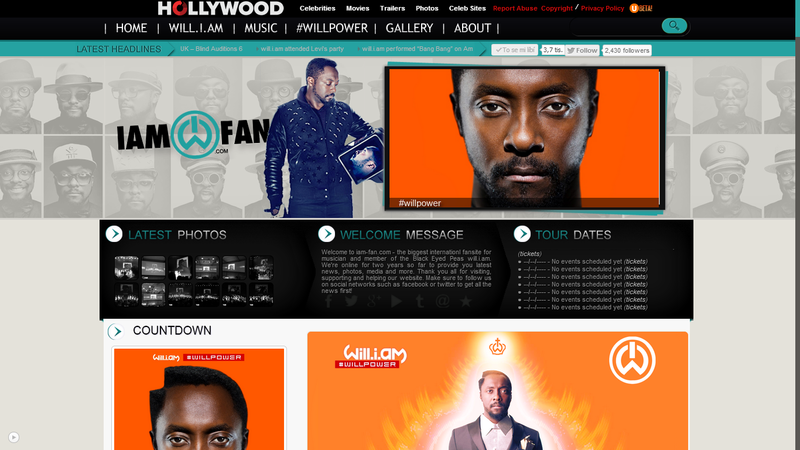 But most of all I'm thankful to will.i.am who knows about me, visits my website from time to time, stays connected with me on twitter and gives me #willpower to work harder.